To check availability or for questions about the Groupon, please contact the Spa Director at (401) 378-5035. The East Island Reserve Spa offers a cozy cottage setting for relaxation and rejuvenation. Your stress and pain will drift away when you experience our luxurious spa treatments. Each treatment aims to relieve tension and muscle ache by targeting each person's unique body sensitivities. 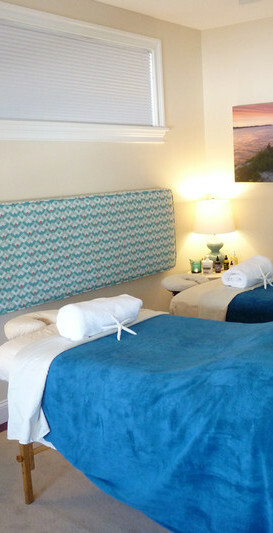 Make it a spa getaway by reserving a room at the East Island Reserve Hotel. Use code GROUPON for rates as low as $109/night. Please note: prices below do not include gratuity. For a full list of services, view our full spa menu. To book a groupon massage, please fill out the form below or contact the Spa Director at (401)378-5035. A credit card is needed to secure your reservation. Payment can be made at the time of appointment by credit card, check or cash. If you use the form below, a member of the spa team will call you to confirm your appointment. Appointments must be made at least 24 hours in advance and are subject to availability. There is a 24 hour cancellation policy. Any spa reservation canceled within 24 hours of the appointment will result in the credit card on file for the services being charged the full amount of the service. Bookings for hotel rooms are subject to availability and cannot be combined with any other offer and are not valid on existing reservations.